H+K Strategies Thailand launched the world’s first olive Oil category campaign for Bertolli Olive oil in early 2017. The daring operation focussed on making Olive oil a Thai kitchen staple in a nation where olive oil represents less than 1% of Thailand’s edible oil market. 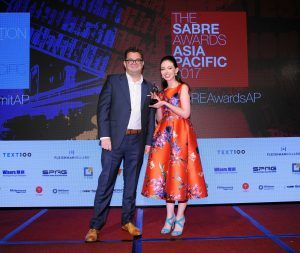 The campaign, ‘Making Olive oil famous in Thailand,’ won three significant awards at the 2017 Asia-Pacific SABRE Awards, held in Hong Kong on September 14.